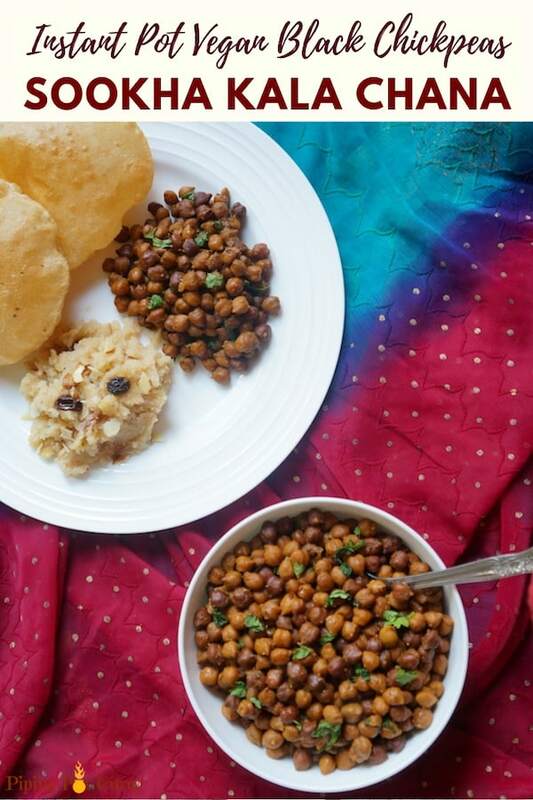 Instant Pot Black Chickpeas or Sookha Kala Chana – This is an easy Indian dish made during the festival of Navratri. It is vegan, gluten free and high protein. Enjoy it the traditional way with Halwa and puri, or make a salad with chopped veggies. During Navratri, Kala Chana is served along with Halwa and Puri (see picture above). The idea is to have dishes without onion or garlic during Navratri. This is a 9-day festival, where on the 8th or 9th day(Ashtami or Navmi) 9 little girls (called Kanjak’s) are revered, fed this delicious food and given presents. None the less, this used to be my favorite day – good food and presents! In North India, Kala Chana is made with just some basic spices and tangy dry mango powder or lemon juice. In South India, this is called Kala Chana Sundal, and garnished with freshly grated coconut. You will be surprised how delicious this can be without much added ingredients. If you want to make a curry, I have shared the recipe for Punajbi Kala Chana Curry. If you like chaat, try this delicious Kala Chana Chaat recipe. Black Chickpeas are dark born and smaller in size than the more commonly found white chickpeas. A half cup of dried black chickpeas has 360 calories, 5 grams of fat, 60 grams of carbs, 17 grams of fiber and a whopping 19 grams of protein. 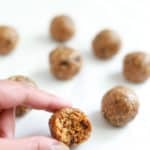 They are high in fiber and have a low glycemic index. These chickpeas are even more nutrition packed that the white chickpeas. 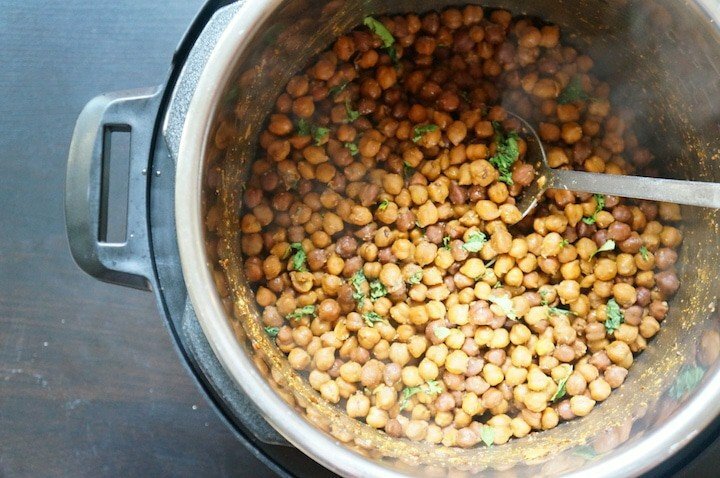 How to cook Black Chickpeas in Instant Pot? It is important to soak black chickpeas before cooking. It helps with cooking faster as the chickpeas soak in the water and increase in size. However if you forget to soak, you can still pressure cook them for 45 mins at high pressure. 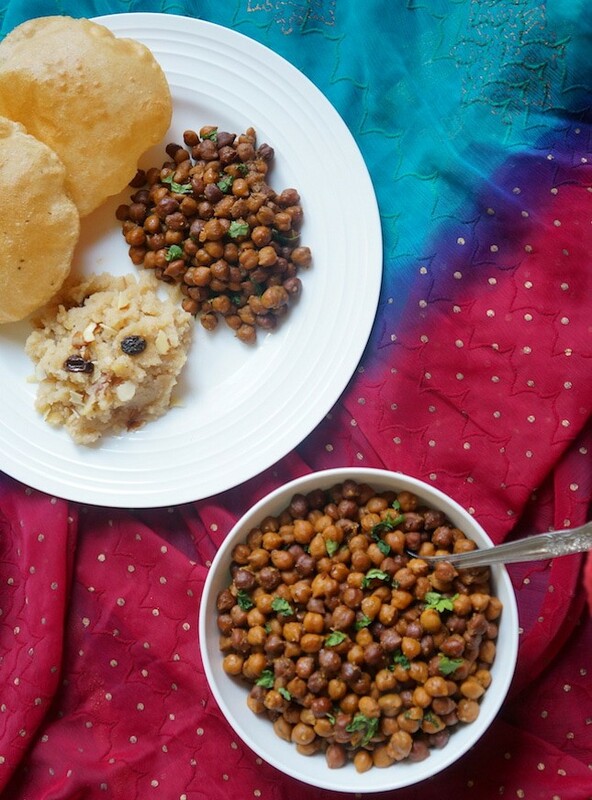 I made these Sookha Kala Chana in the Instant Pot. You can find these on Amazon or in an Indian grocery store (much cheaper). The traditional way is to pressure cook the kala chana in ample water. Then drain the excess water and separately temper them with cumin seeds and spices. 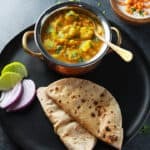 The method I have shared here is a one-pot method, where I first add the tempering and then pressure cook the chickpeas along with the tempering. I definitely like the second method more, as it is a one-pot way of making this dish in a pressure cooker. Less work and the same great taste. Give it a try and let me know it turns out. 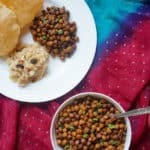 Instant Pot Black Chickpeas or Sookha Kala Chana is an easy Indian dish made during the festival of Navratri. It is vegan, gluten free and high protein. Start the pressure cooker in Sauté mode and let it heat. Add oil, cumin seeds. Let the cumin seeds splutter about 30 seconds. Add the spices and mix them with the oil. Quickly add the soaked black chickpeas and mix them with the spices (quickly, so the spices don't burn being in the hot oil for long). Stir in the water for cooking. Press cancel and close lid with vent in sealing position. Cook in manual or pressure cook mode at high pressure for 30 minutes. When the instant pot beeps, do a natural pressure release. Add dry mango powder and mix it well with the kala chana. If there is liquid, in the pot, you can put on sauté mode again to dry it. It will also dry off as the chana cool down. Garnish with cilantro. Enjoy with the puri and halwa. 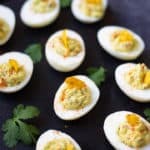 Another great way to enjoy these is as a high protein salad. Add diced onions, tomatoes and lemon juice. Other add on's that work great are diced mango or avocado. Additions: You can add curry leaves, julienned ginger along with the cumin seeds. In south India, this is called Kala Chana Sundal and garnished with fresh grated coconut. 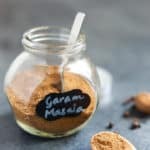 Wow, I just made this chana recipe and it has turned out so delicious. 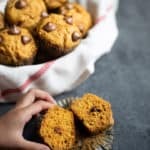 Thanks for sharing this recipe, I can’t wait to try some of your others! Hey Sara – Glad to hear you enjoyed the Kala Chana Masala. Thank you for sharing back your review! Glad to have found you as well. You have a wonderful blog! Instant Pot is the most used gadget in our house now. What is portion of water? Is it 2 cups of chana to 1 cup of water? 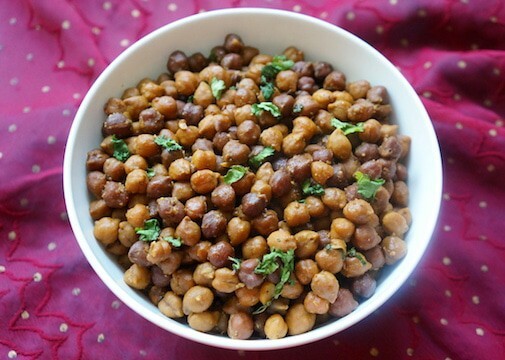 Hey Indrani – For cooking I used 1 cup water for 2 cups of Chana, as I wanted to get a dry consistency. The chana was soaked for 4+ hours in ample water and then I drained that water before cooking. Hope you enjoy it! Just wanted to clarify – I hear from many people that soaking the dals/channa is not necessary as the pressure is good enough for it to cook easily. Is it true? have you tried to cook without soaking. Hey Pooja – Beans/Chickpeas can be cooked without soaking. However I have read that it is always better to soak and drain off the soaking water. In a pinch when I have to make something and forgot to soak, I do cook them without soaking. For this recipe, cook 45 mins on high pressure if using unsealed chana. For days, I typically cook without soaking. Hope that helps! I ate this many times before, but I never cooked it.. it is very delicious..